Ice skating has always been a love of mine. 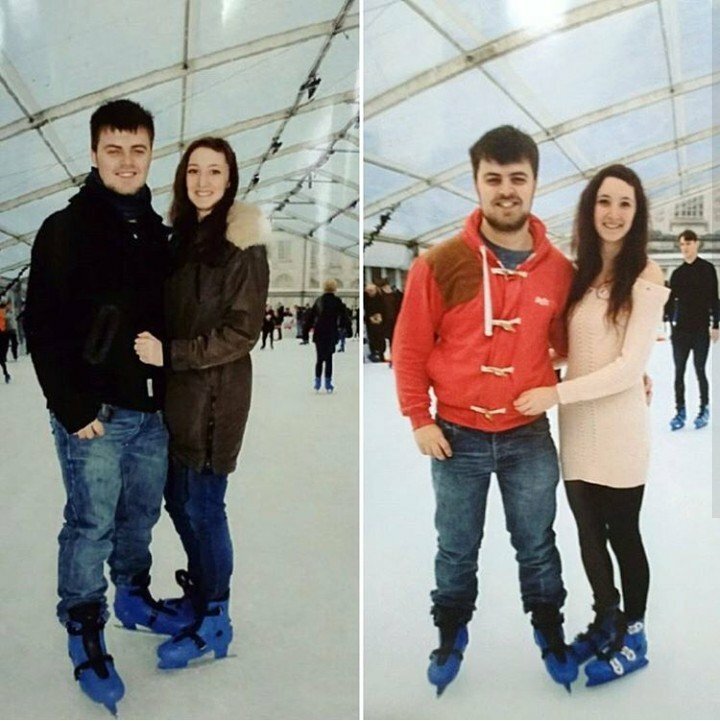 From watching dancing on ice as a child to my parents taking me to Cardiff ice rink one birthday once apon a time. Now sport has always come easy to me. After being apart of numerous school sports teams (netball, hockey etc…) going to a gymnastics club and running for South Wales’ Athletics team, it was no surprise that ice skating came naturally as well. We lasted 20 minutes of our 1 hour time slot before Marc begged me to go off the ice as his feet were about to fall off but it was the best £32 I’ve ever spent. New Years day spent with my love, laughing so hard I couldn’t keep still made everything single penny well spent. Oh, and it’s become a new tradition for us… He’s even promised to buy me dinner to make up for his early departure and is going to take me skating as practice for next year! If you fancy taking up something new, why not give ice skating a go? And if you fail disastrously like Marc you can always enjoy a hot chocolate and have a go winning a prize hooking a duck! And if you don’t live in Wales, most cities have their very own WinterWonderland come Christmas time which you can easily find online!